Supremely located right on “Afiarti” Beach the windsurfing resort of Karpathos Island, Thalassa Beach Suites are situated among the sapphire blue colors of the sea and the immense fertile landscapes with the incomparable natural beauty of the unique Island of Karpathos in Greece. 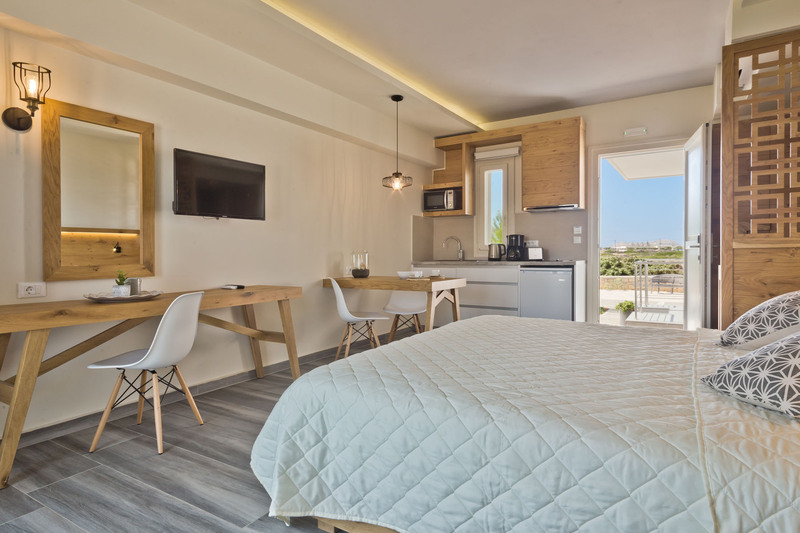 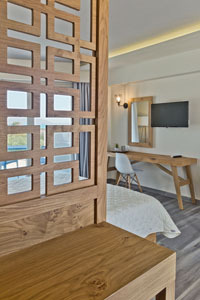 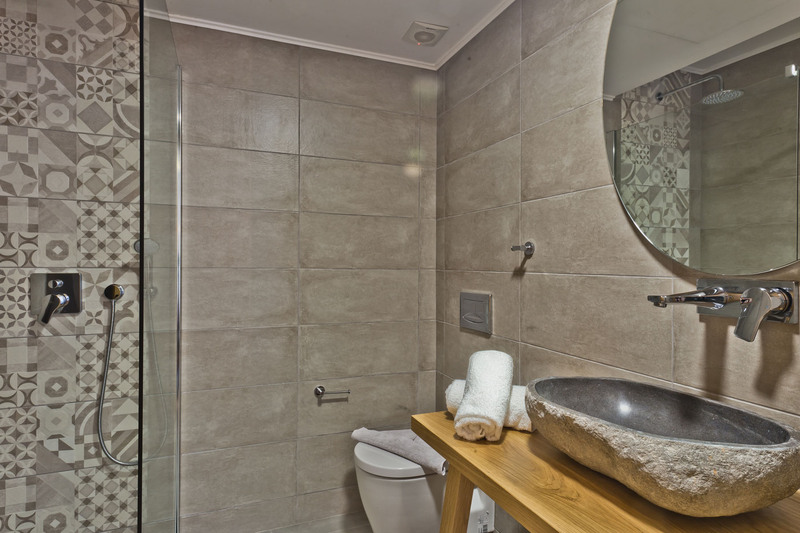 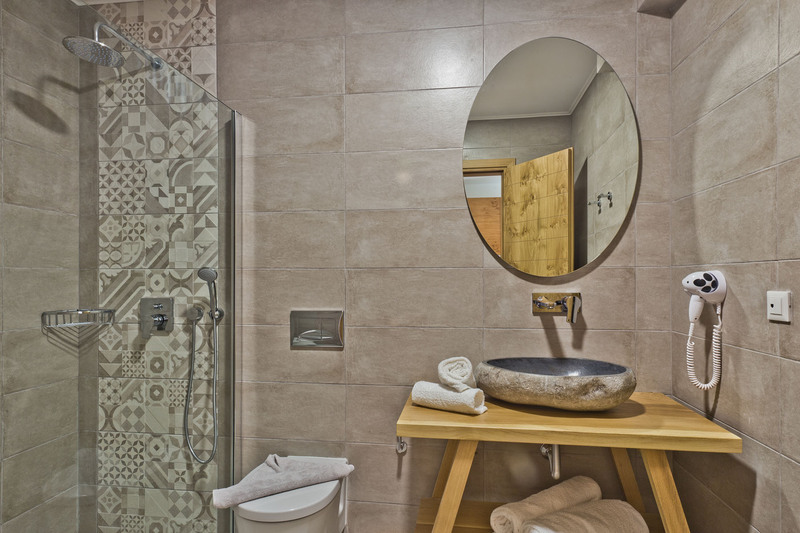 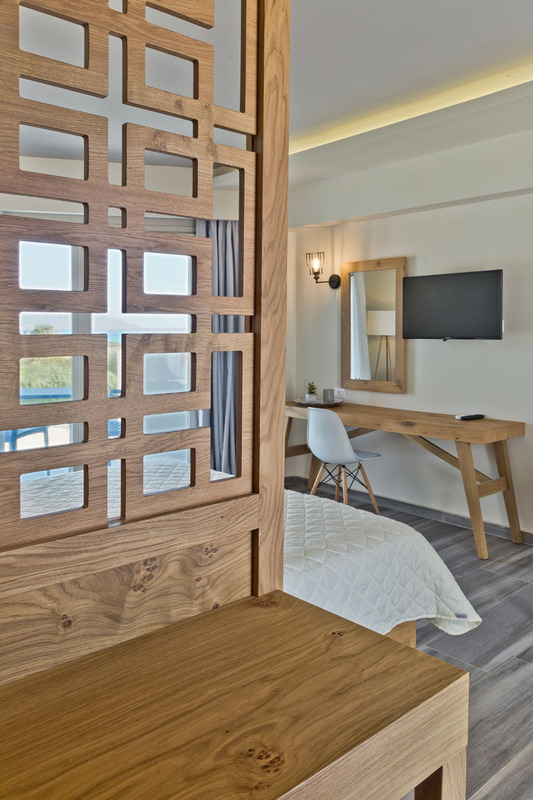 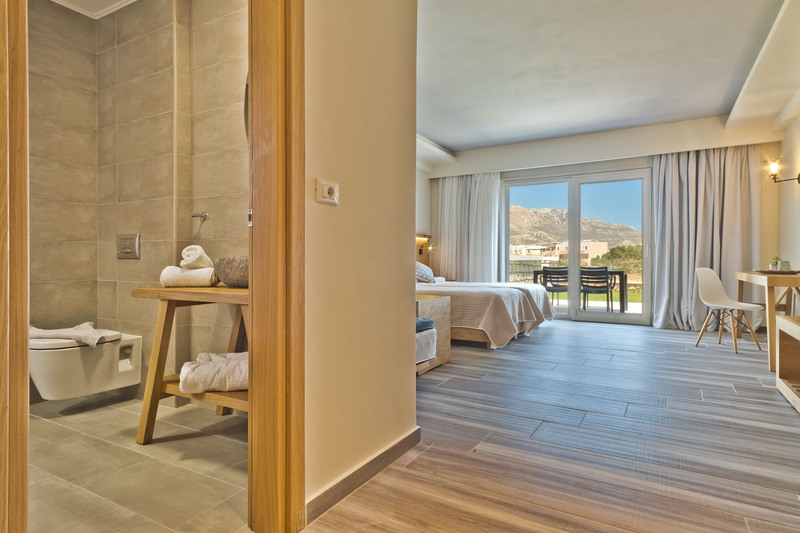 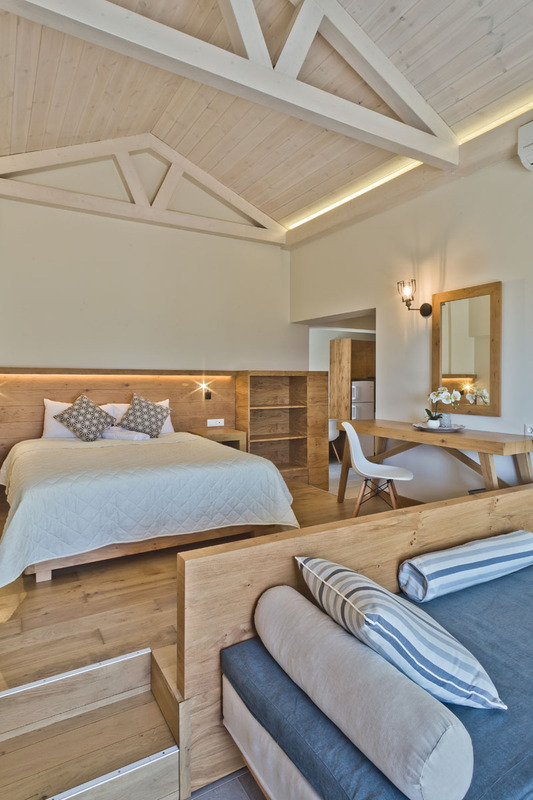 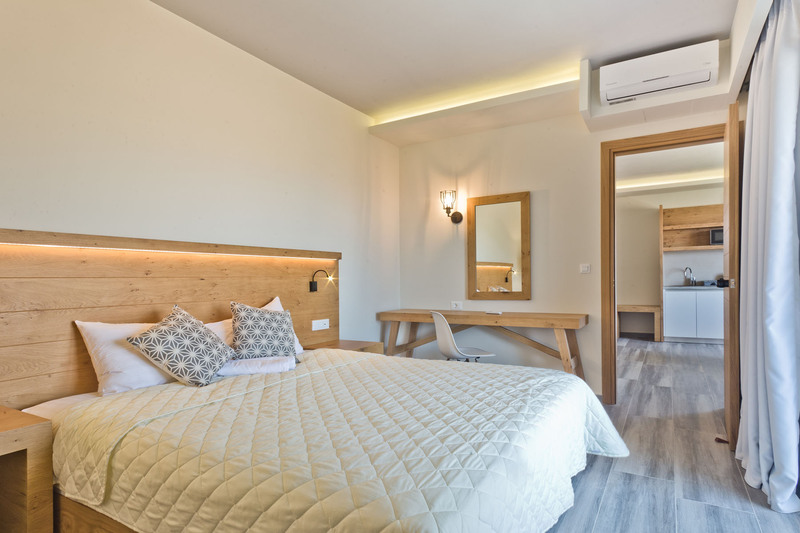 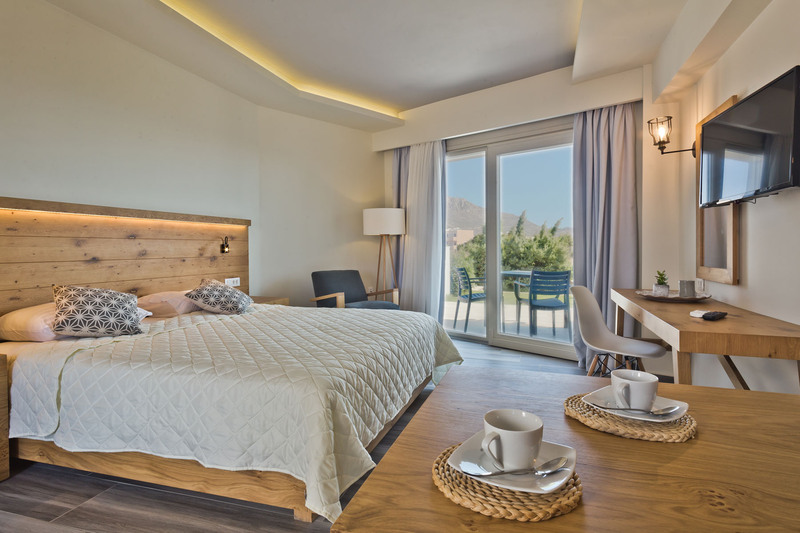 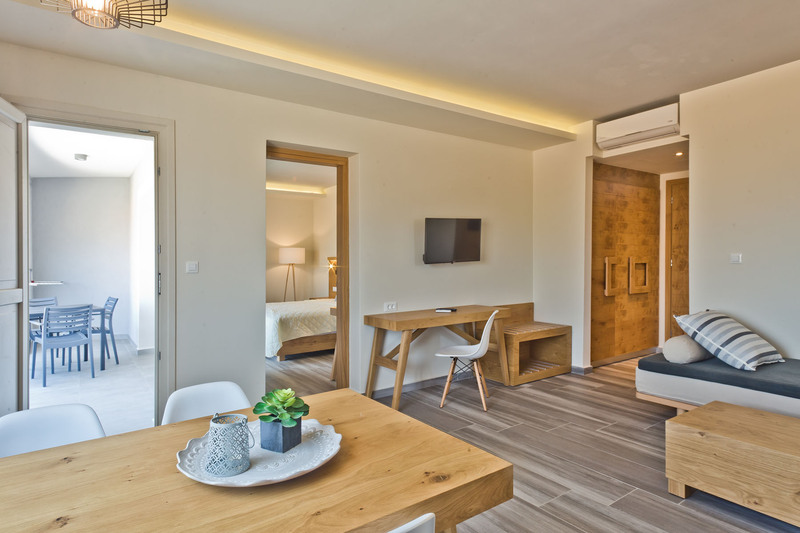 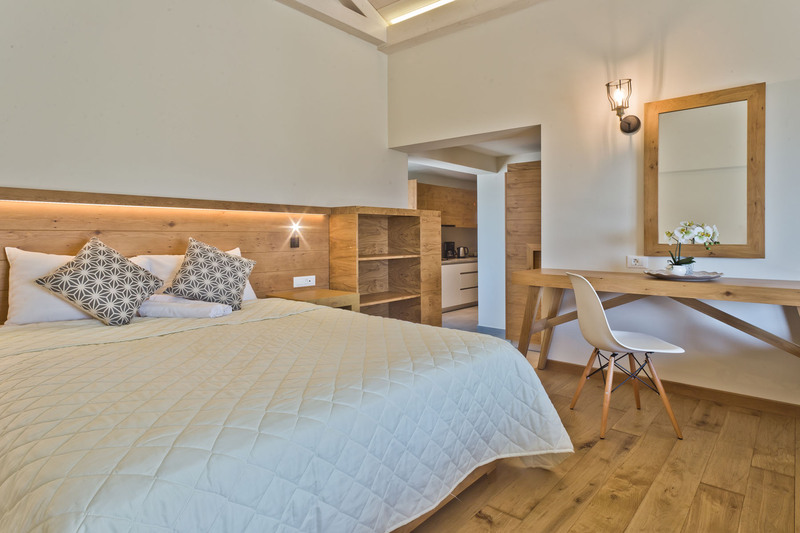 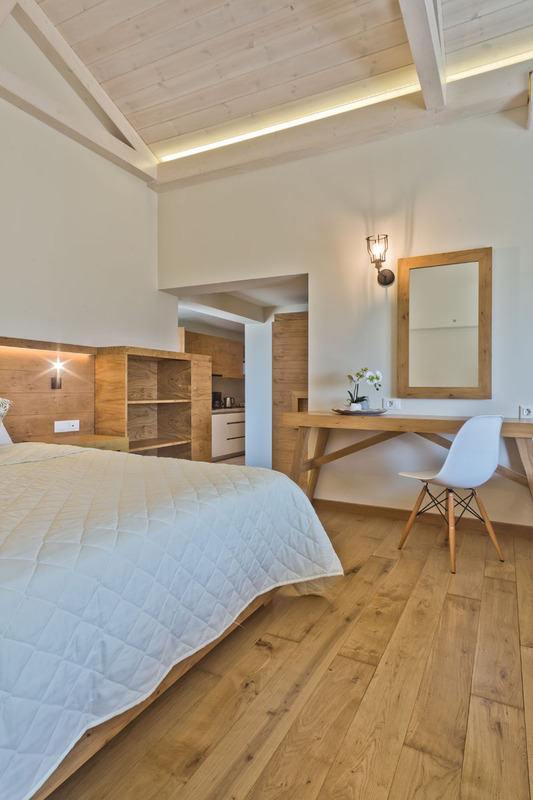 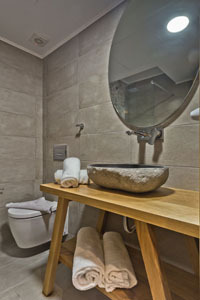 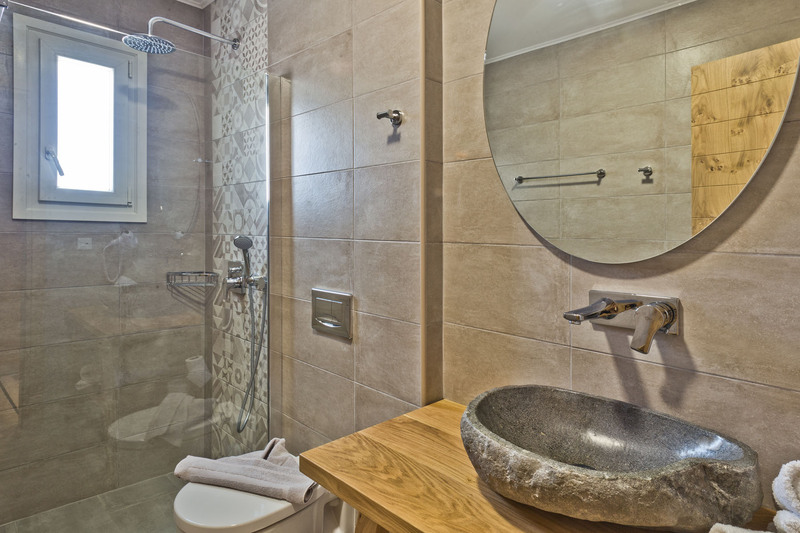 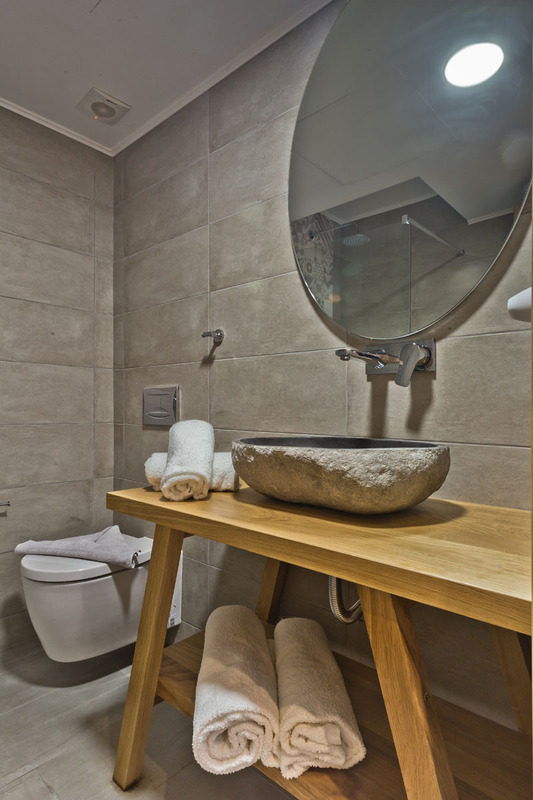 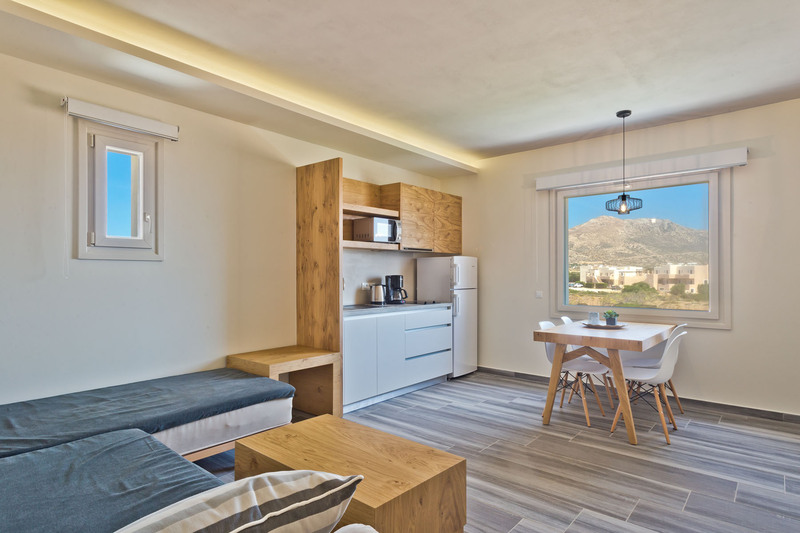 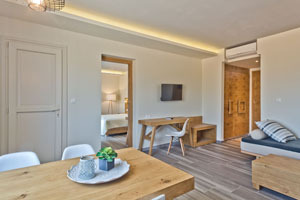 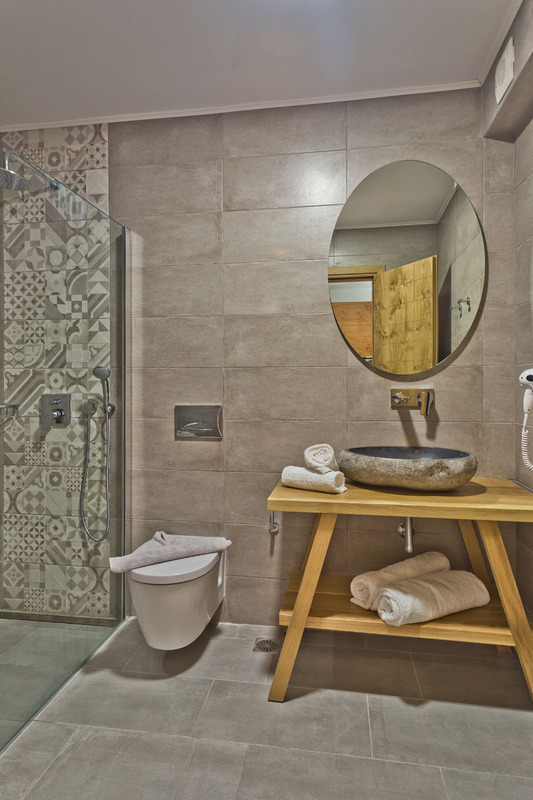 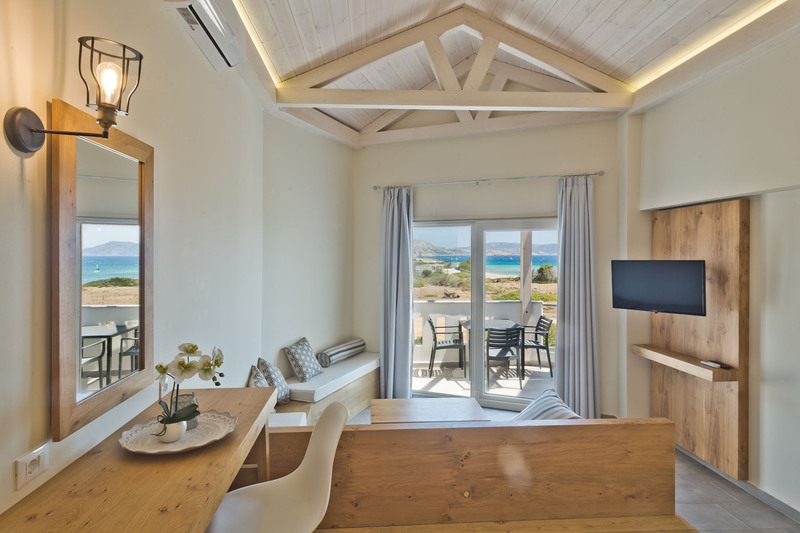 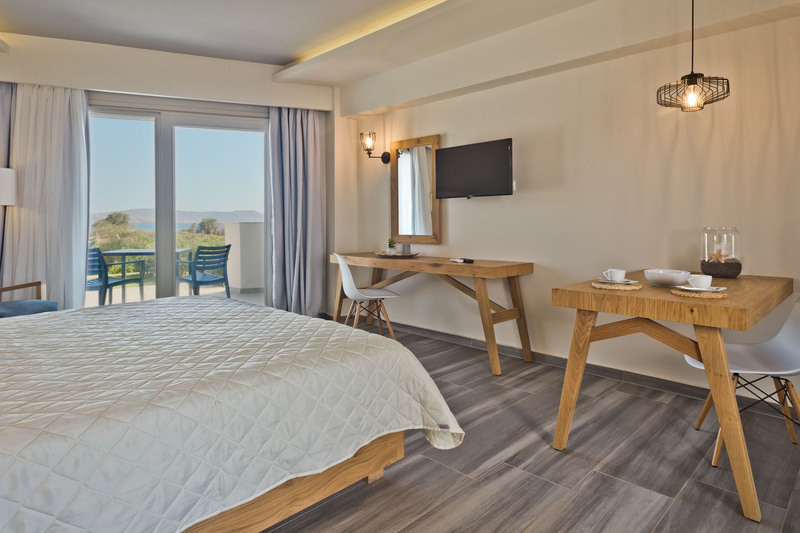 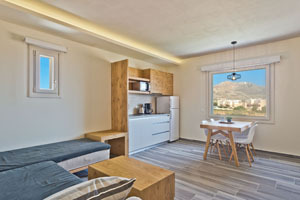 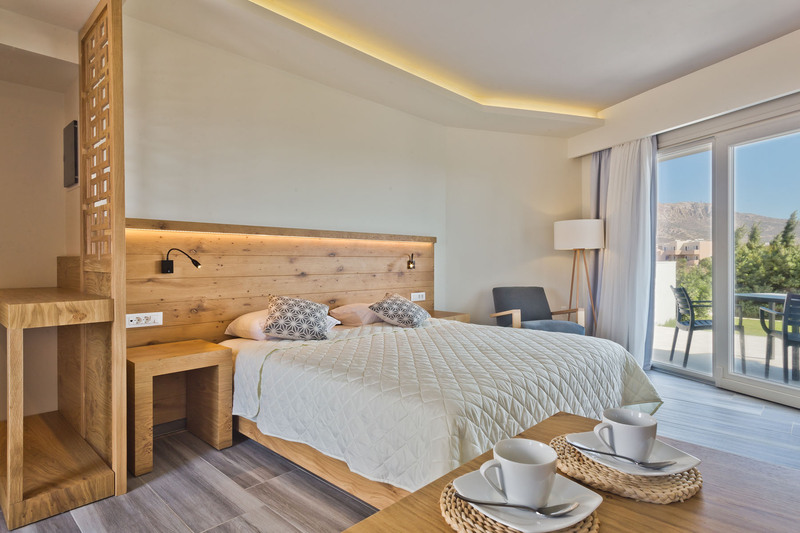 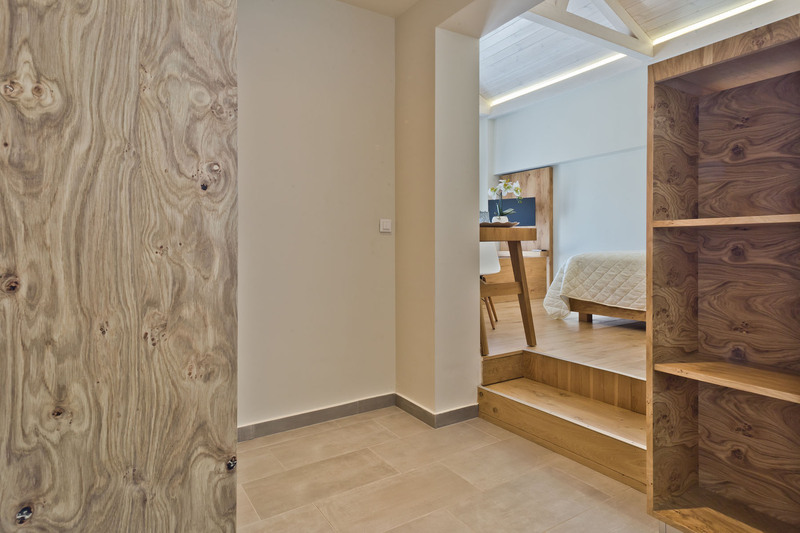 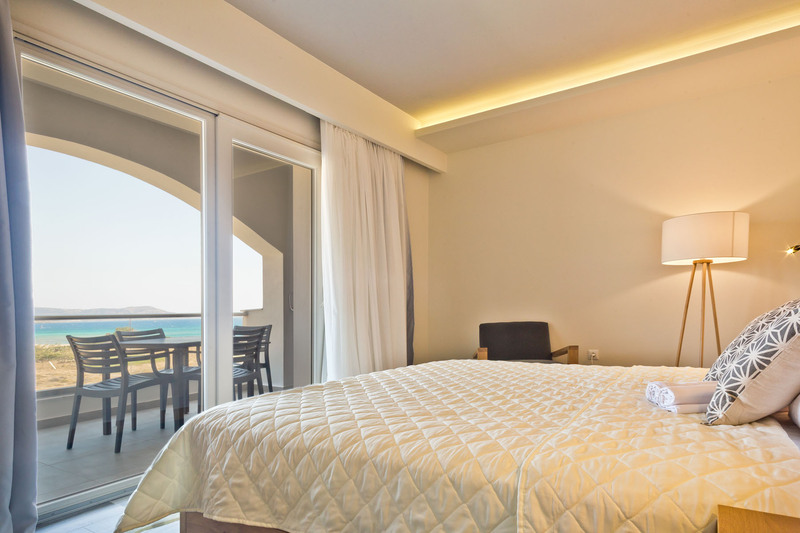 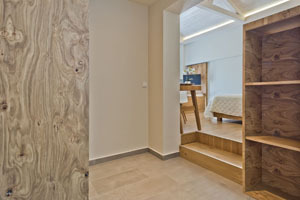 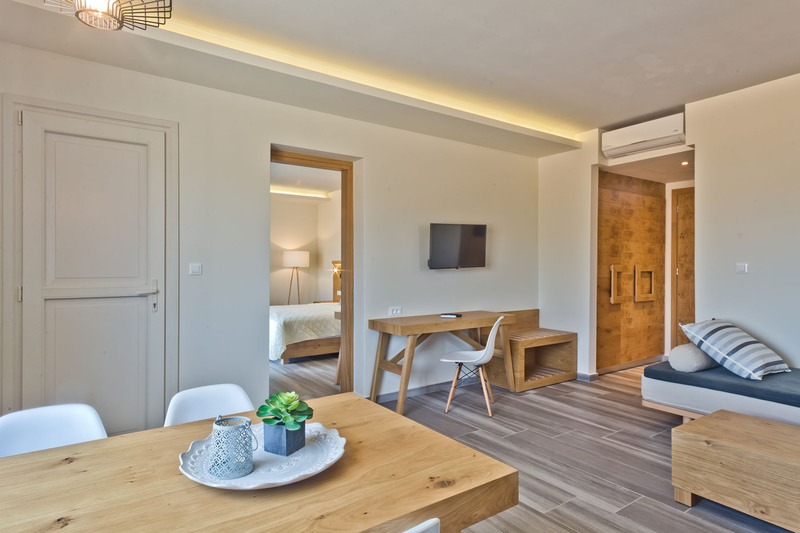 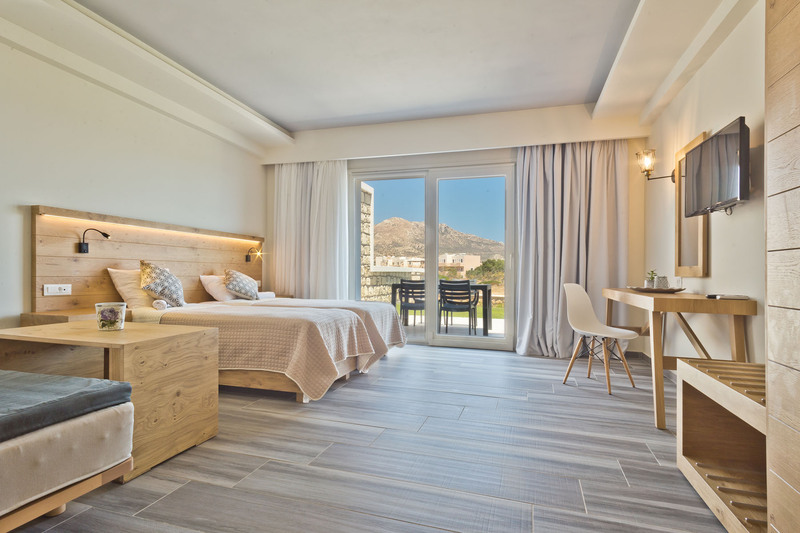 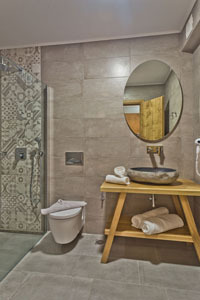 Thalassa Beach Suites have been built by high quality materials and designed following the latest design trends, ensuring for a reviving and comfortable accommodation in Karpathos Island. 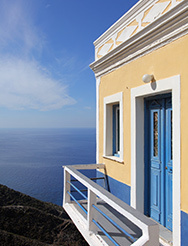 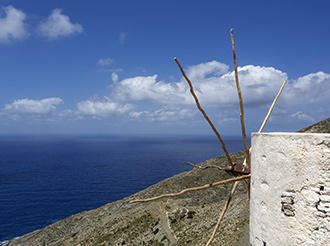 All studios and suites of Thalassa apart-hotel in Karpathos are furbished with modern top quality equipment, distinguishing the property among beach apart-hotels in Karpathos Island, Greece. 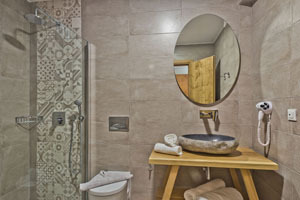 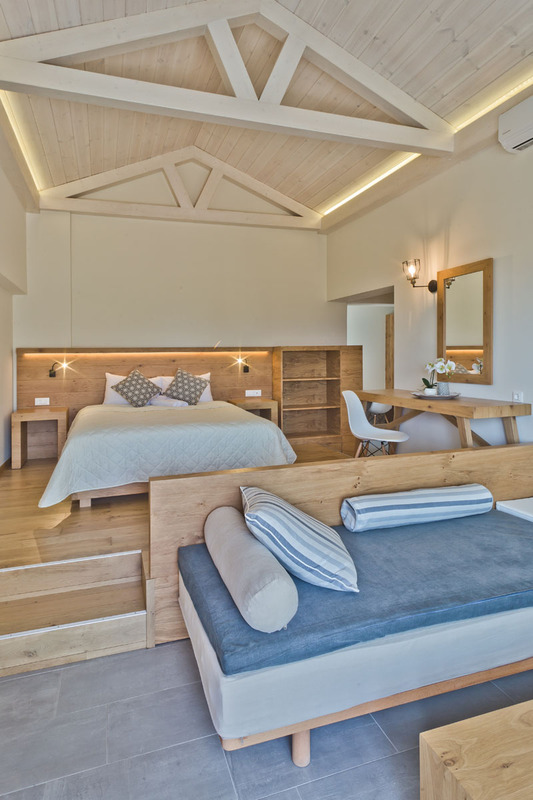 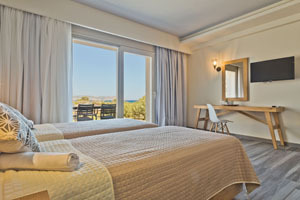 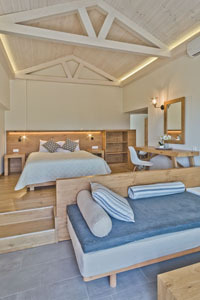 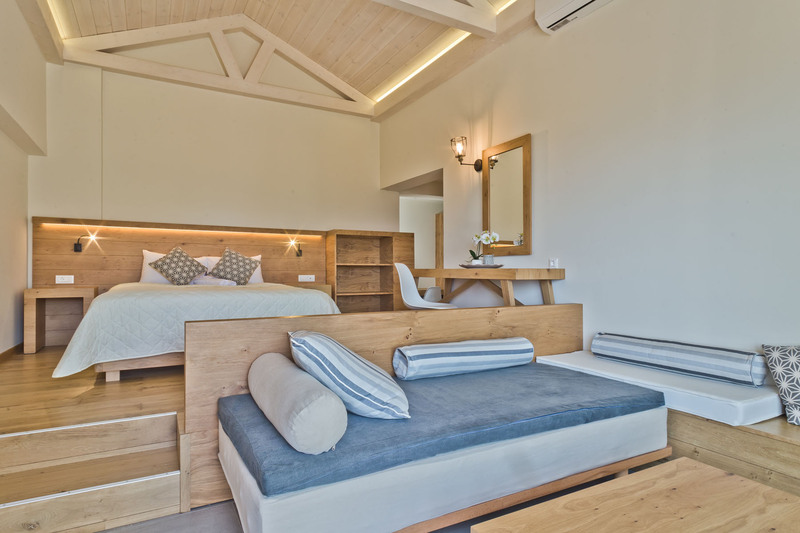 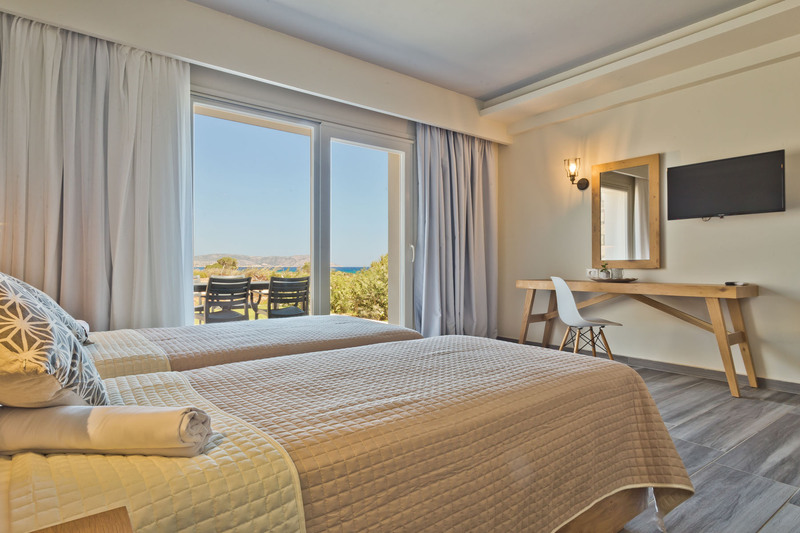 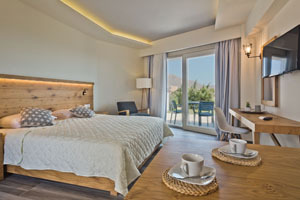 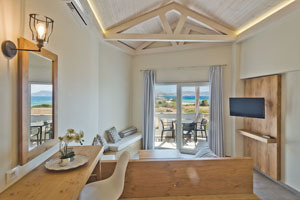 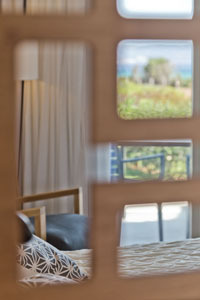 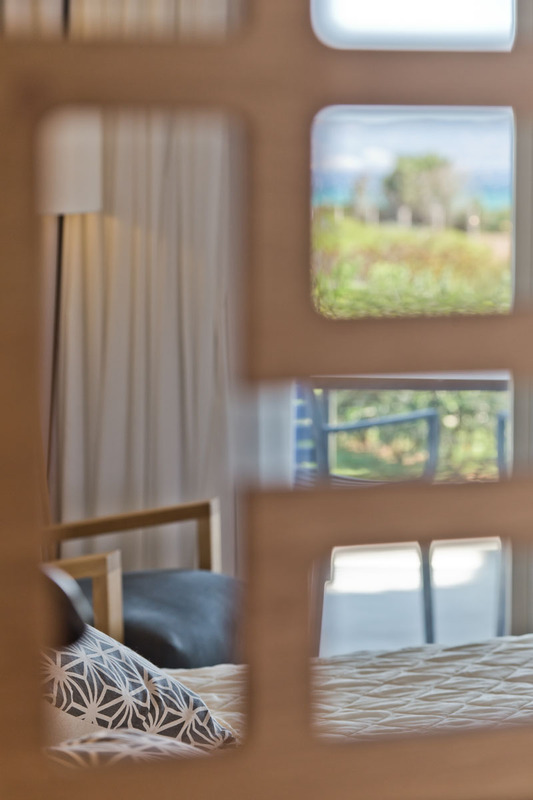 Thalassa Beach Suites create the ideal setting among the pure nature and the high standard rooms, ideally for families and couples that search for an elegant and luxury accommodation in Karpathos Island at a quiet and safe beach resort. 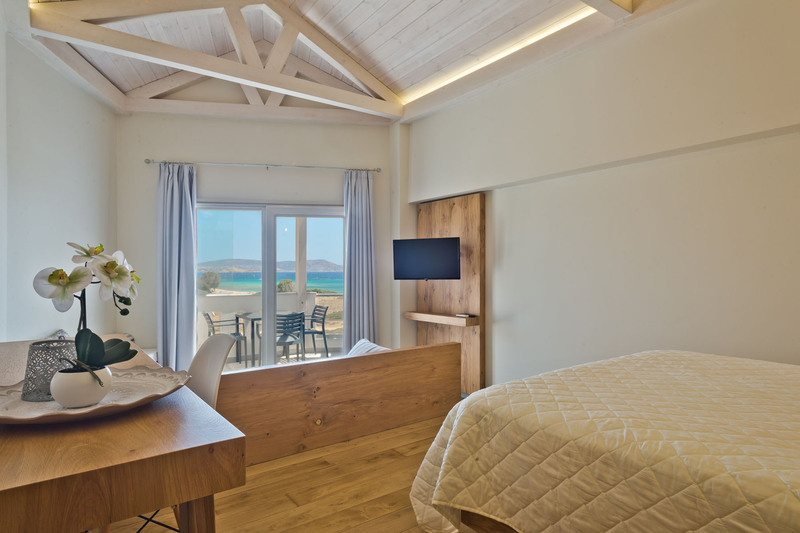 Furthermore, featuring a large private garden with organic vegetables and herbs, Thalassa Beach Suites provide to all guests precious nutrition directly from the nature to their dish. 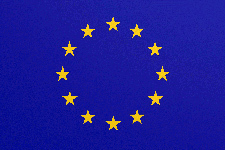 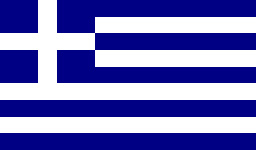 “This action is cofinanced by the EARFD and the Hellenic Ministry of Rural Development & Food -RDP of Greece 2007-2013”.